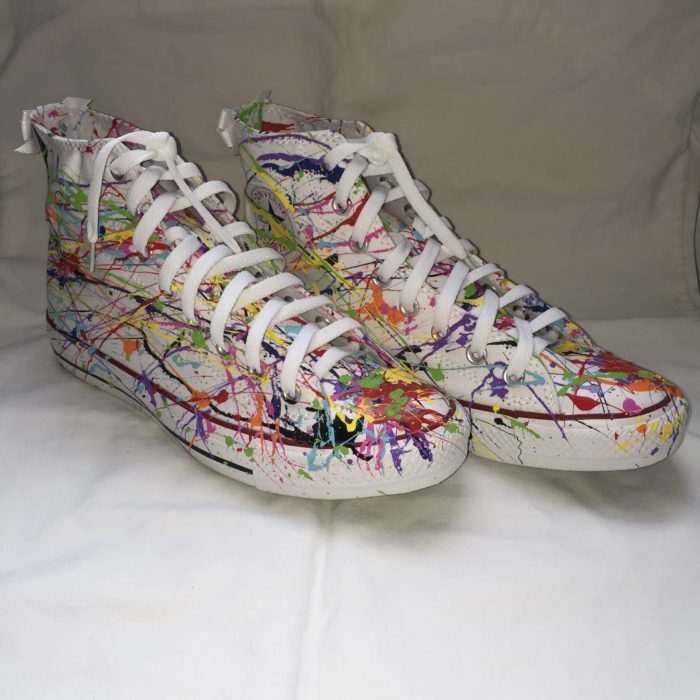 This item is our splatter paint design. You can select as many as five different paint colors. The price includes the cost of the shoe. 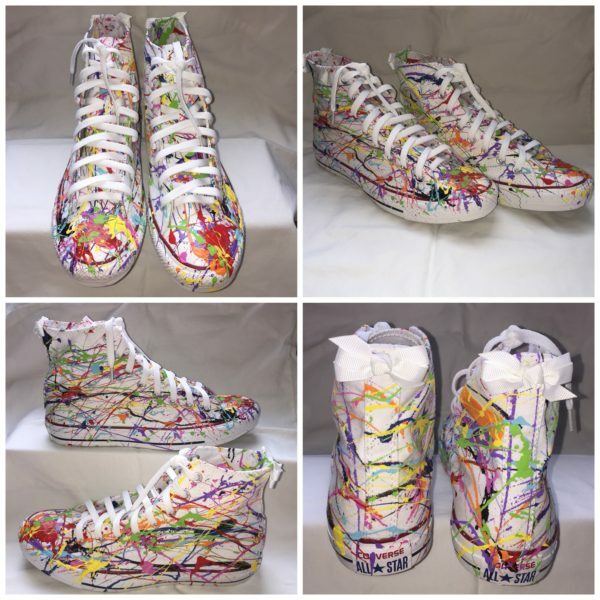 This item is our splatter paint design. You can select as many as five different paint colors. The bow on the back is standard unless otherwise noted.